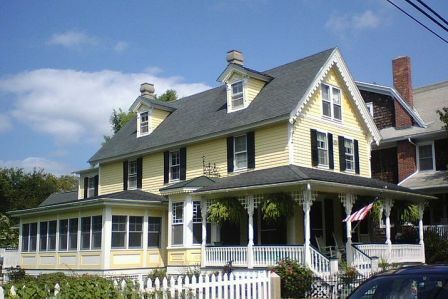 Cape May, New Jersey is a popular community for people who enjoy the beach, fishing, and a Victorian setting. Relax on our beaches, stroll our Boardwalks, tour our Victorian Inns, relive our past, climb our lighthouses, browse our shops, fish our waters, enjoy an outdoor concert, be part of our night life, visit our botanical gardens, spend a day at our park & zoo, hunt for "Cape May Diamonds". 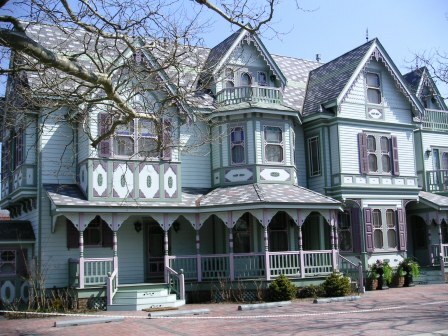 Cape May has one of the most outstanding collections of Victorian homes in the world. The retirement community housing choices are somewhat limited in town, mostly in the form of private homes or mobile homes. Real estate is quite expensive. According to Zillow.com, the median home value was about $580,900 in mid-2018 and calls it a "Very Hot Market". It is somewhat remote. Crowded in summer, lonely in winter. Cape May New Jersey is at the very bottom of New Jersey on the Atlantic Ocean. It is on a coastal plain with many waterways and bays. Annual Cape May Literary Festival. The town hosts the Cape May Jazz Festival, the Cape May Music Festival and the Cape May Film Festival. Cape May Stage, performs at the Robert Shackleton Playhouse. East Lynne Theater Company and the Mid-Atlantic Center for the Arts. Birding is an important activity in Cape May. The crime rate in Cape May is just below the national average. Atlantic City International Airport is 43 miles away; Cape May is below average in walkability when compared to other towns.